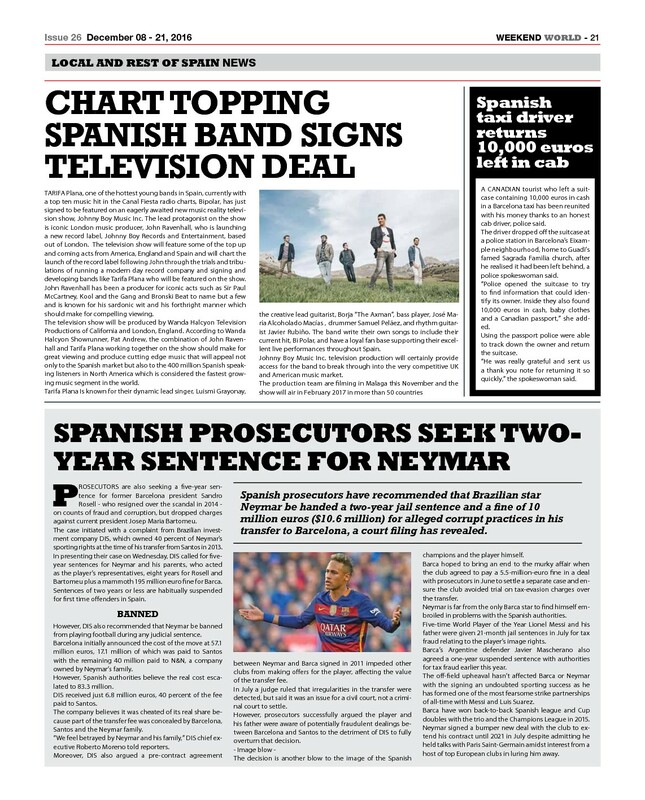 Malaga’s up and coming Indie band Tarifa Plana reached number 10 in the charts with their hit Bipolar this September and have now signed to iconic music producer John Ravenhall’s label, Johnny Boy Records. As part of their deal with Johnny Boy Records they will appear in a new reality TV show which charts the launch of the record label and follows John in the trials and tribulations of running a modern day record company. John Ravenhall, the CEO of Johnny Boy Records and Entertainment spotted Tarifa Plana and believes they could be a big hit under his tutelage. This exciting group will be one of the featured acts on the reality show, rehearsing and recording in London and LA to break into the big time. The production team are filming in Malaga this November and the show will air in February 2017. 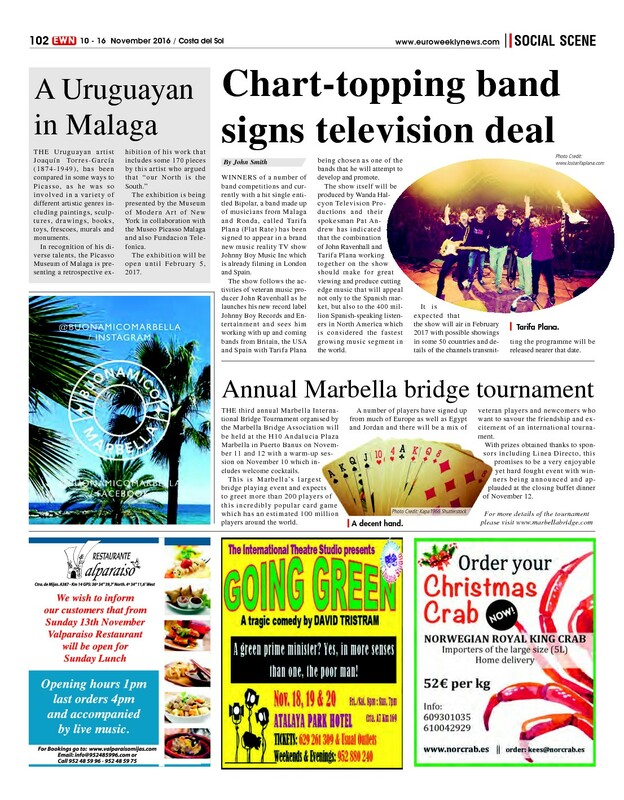 Tarifa Plana was founded in 2010 and is made up of Luismi Grayonay, lead vocalist, guitarist Javier Rubiño, bassist Richi, drummer Samuel Peláez, and guitarist Federico Asán. They are songwriters and musicians with a pop and rock fusion style. 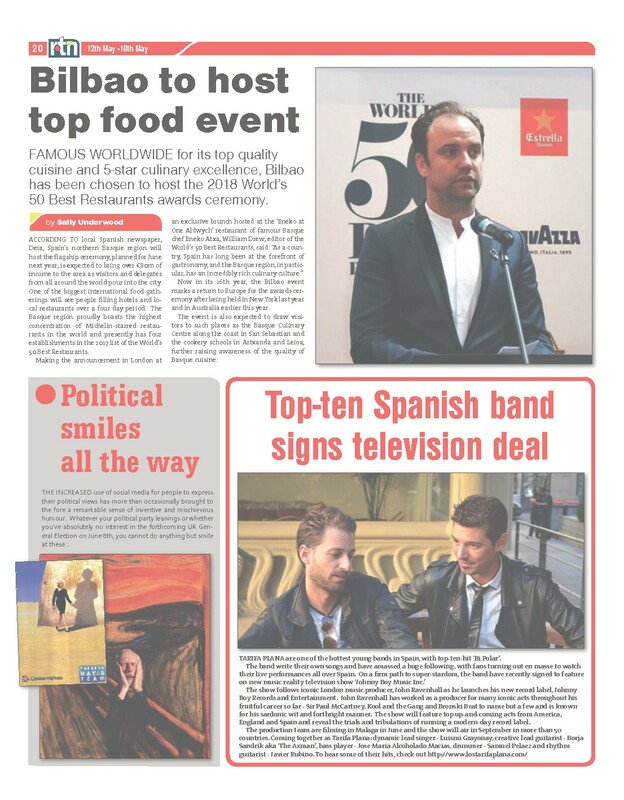 They have acquired a faithful following of fans after excellent live performances around Andalucia and competing in a number of talent contests. Despliega Tus Alas is their debut album and their single Bipolar was a big hit on the Spanish charts. 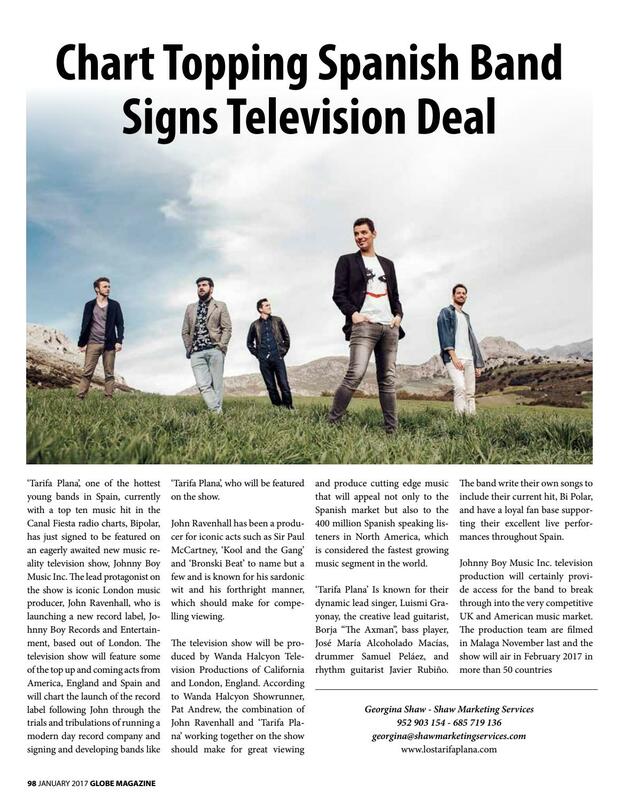 Signing with Johnny Boy Records and appearing internationally via this reality TV show will be a big step for them to break through into the UK and US music industry.